Have you ever heard of a company being "too flexible"? We haven't, either. Yet, we found out that's exactly what we are. Let me explain. We are always looking for opportunities to grow. We have such an incredible team of people working with us that we KNOW there are other people that would be a great fit and will share our vision. We want to get our philosophy out to as many people as possible, nationwide. We've run a few ads this past year, but we didn't think we were getting the word out to the maximum amount of freight brokers and sales agents. 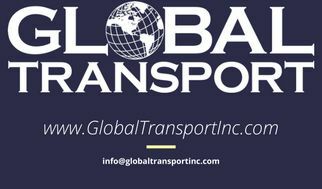 So we decided to use a recruiting company that specifically works with people in the freight brokering industry. We were told that 1., it's almost impossible to land a "unicorn". A unicorn being a freight broker with a large book of freight that was willing to switch companies. We hate this term, right along with the term "whale". These are people that happen to have worked hard for their book of freight and maybe they're not happy with their current situation. They're not fantasy characters or sea creatures; they're living, breathing people. And we've been fortunate enough to have had conversations with plenty of hard working people, and almost all of them have partnered with us. We were told that 2., we're TOO FLEXIBLE. We won't pay you the minimum amount of money for your book of freight. You want to be a salaried contractor? Cool. We can do that. You want to make straight commission? We can do that. You want a salary AND commission? We can do that, too. We don't have a strategy on how we compensate employees: we have a mutual respect for people that are partnering with us and we want you to be happy. Why? Because happy people won't be looking at other employment options. Happy people are happy to go to work every day. Happy people are great to work with. If you're happy, we're happy. It's really that simple. If you're interested in working with us, we want to have several conversations with you. We WANT you to call any of our freight brokers and pick their brains. We WANT you to ask as many questions as possible. We WANT you to decide what's best for YOU. This is a life changing decision, and it shouldn't be made hastily, with no input from you.